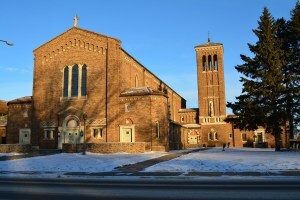 The Hibbing Catholic School Endowment Fund was established with the sole purpose of supporting Catholic education in Hibbing. The fund makes annual distributions to Assumption School to support tuition assistance and to supplement special projects that enhance learning. The typical annual distribution is $25,000. The July 31, 2017 balance was $1,178,064.54. This balance remained after a $30,000 distribution to cover the tuition gap at Assumption School for the 16-17 school year and a $60,000 distribution toward the implementation of 70 iPads and infrastructure to run the devices within the school. We are extremely grateful for the gifts given to the school by the Endowment. The endowment fund is incorporated separately from the parish and school. By-laws dictate that distributions are made from earnings. The principal is left intact. If you would like to make a contribution to this fund, please contact Susie at the Parish Center: 218-262-5541.